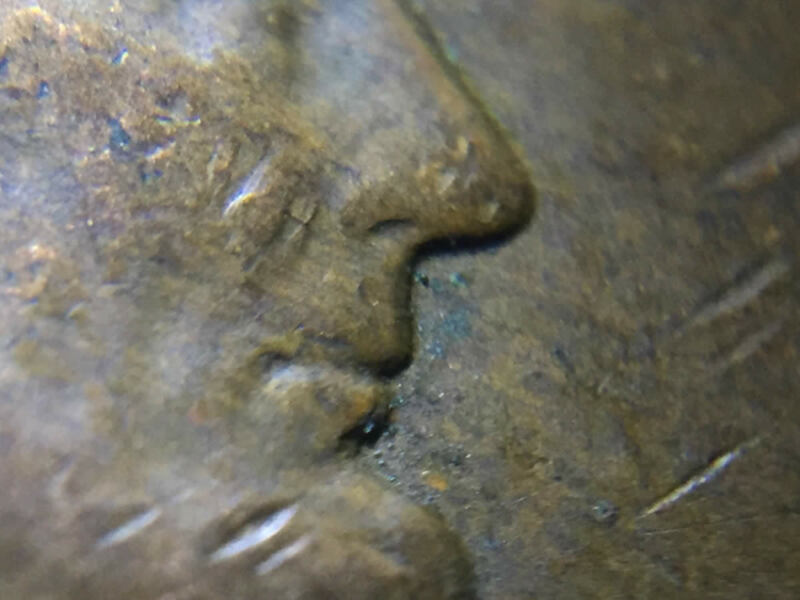 1964 D DDO Profile Doubling? This is probably just MD, but the lips are throwing me off. 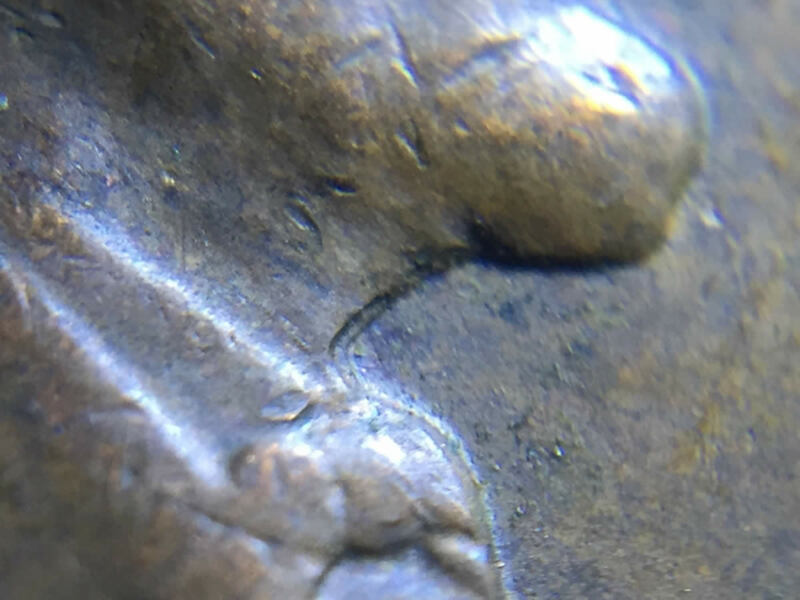 Is this a new DDO or just common MD? Thanks in advance! 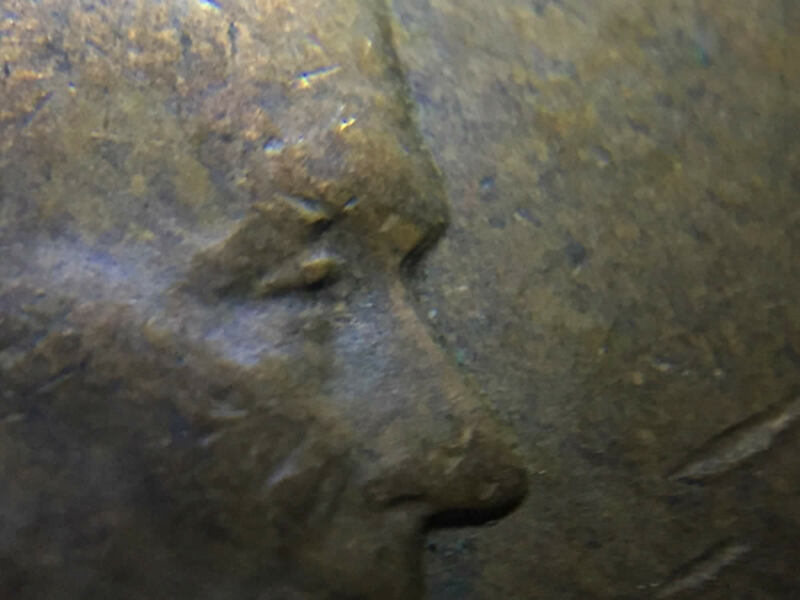 Is this from retooling of the profile on the die? I'm not sure. I'm not very good with this kind of stuff. 99% of the time it is retooling. 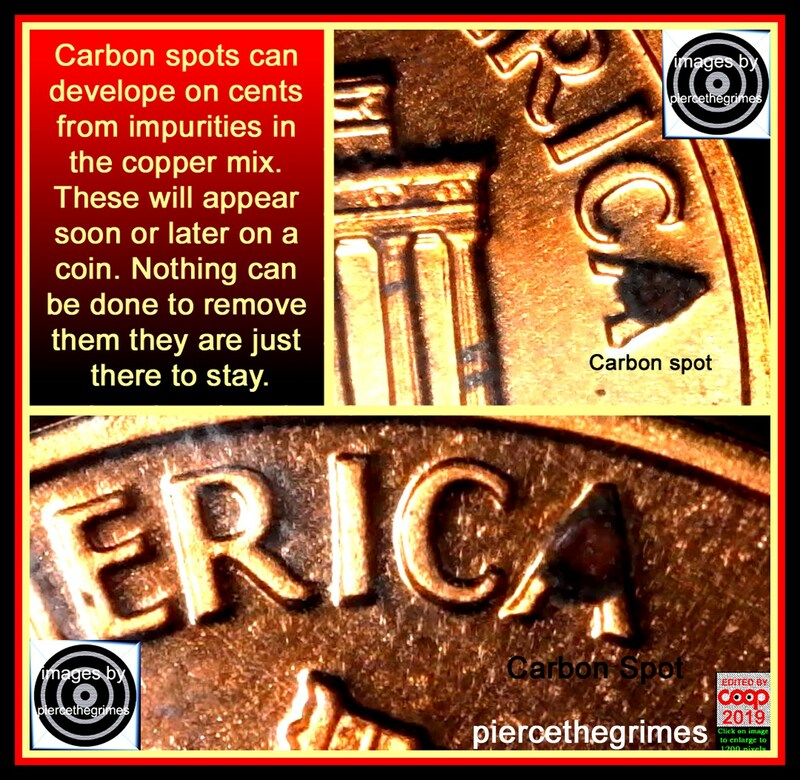 Looks like something is on the coin or the distortion that we see near a carbon spot is developing? How can I tell if it's retooling and if it's a carbon spot developing? I don't know the signs to look for. Note the under lip? Is that a dark spot there? The green and gray areas that are raised look like what develops on the outer part of a carbon spot. (I can't believe I don't have an image of one in my files?) Over 9500+ images and not a carbon spot image. This is one, but the reactive agent isn't showing on this one. 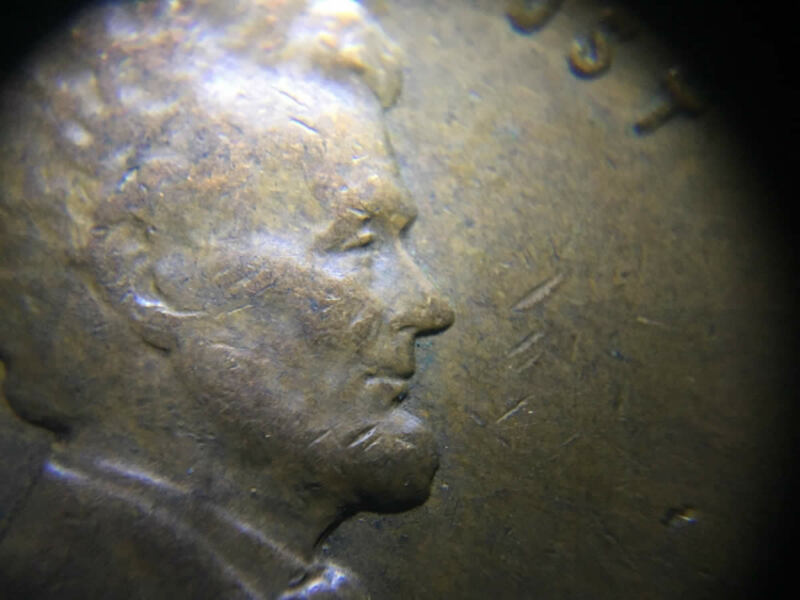 It is a Proof cent that has a full blown carbon spot on it. 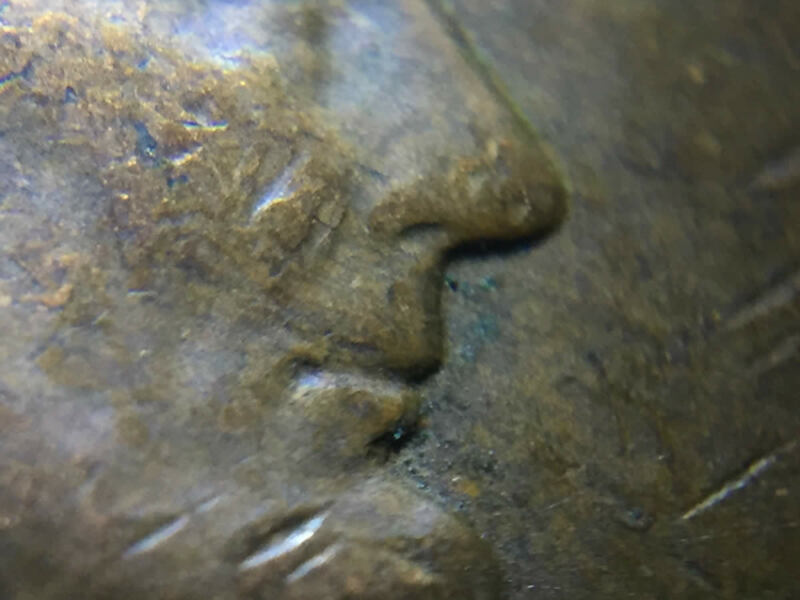 I'll look at my coin is a few to see if it has any green and black under the lip or anywhere else. Thanks for helping coop.